HOUSTON–(BUSINESS WIRE)–Black Bear Midstream, a portfolio company of funds managed by Oaktree Capital Management, L.P. (“Oaktree”), announced that it entered into a contract to provide “dry” gas gathering service beginning in late 2018. The six-year agreement includes a significant volume commitment and extends Black Bear’s business beyond its core of natural gas processing. Black Bear owns and operates a 140 million cubic feet per day (“mmscf/d”) cryogenic gas processing plant in Caddo Parish, LA, high pressure gas gathering network and a 40-mile natural gas liquids (“NGL”) pipeline that extends into DeSoto Parish, LA. Black Bear also recently received approval to expand its gas processing plant by 200 mmscf/d. According to Travis Boeker, Palmilla EVP – Commercial there are a number of producers in East Texas and along the Louisiana state line that are drilling rich gas wells in response to increasing demand for NGLs, particularly ethane. “With ethane recoveries over 90% at our processing plant, Black Bear has a clear competitive advantage that creates significant value for its customers,” according to Boeker. 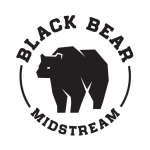 Black Bear Midstream is a gas gathering and processing company focused on providing midstream bespoke solutions for producers in Louisiana and east Texas drilling the Cotton Valley and Haynesville formations. The company has a high pressure gathering system providing dry and rich gas gathering with several interstate natural gas connections along with a 40-mile NGL pipeline connecting its 140 mmscf/d cryogenic gas processing plant to NGL markets in Mt. Belvieu, LA. Oaktree is a leader among global investment managers specializing in alternative investments, with $122 billion in assets under management as of June 30, 2018. The firm emphasizes an opportunistic, value-oriented and risk-controlled approach to investments in credit, private equity, real assets and listed equities. The firm has over 900 employees and offices in 18 cities worldwide. For additional information, please visit Oaktree’s website at http://www.oaktreecapital.com/. Palmilla Energy, LLC is an owner, operator and developer of midstream oil and gas assets based in Houston, TX. The core team has been together for over 10 years originally with Petrohawk Energy and Halcón Resources. The team has built over 1,000 miles of pipeline, gas processing plants, crude handling facilities and rail terminals in the Haynesville, Eagle Ford, Permian, Utica, Fayetteville and Bakken with a perfect safety record of zero recordable incidents.